Hey everyone! Thank you for reading my Go Fund me campaign. I started a business called BlackCotton.Us LLC. This business will be used to directly sell cotton products from my farm and hopefully farmers like me. I am a 5th generation African-American cotton farmer. At 30 years old, I believe I am the youngest black cotton farmer in existance in the United States. I go to various nationwide farmer conferences and workshops, especially within my region of the country. In my business travels, I rarely meet cotton growers, especially within my age bracket. I am worried we are extinct class of farmers. I am worried about the extinction of black cotton farmers because cotton is an integral, historical part of our people culture. Black culture and fashion go hand in hand. When you think of some of the most influenctial people in fashion, entertainers like Michael Jordan, Jay-Z, Beyonce, and Tyra Banks come to mind. All of these entertainers endorse various types of clothing, that has billions of dollars of economic impact across our nation. None of these clothes are sourced from African American farmers specifically, which all of these entertainers I name are ethically. I believe saving black cotton farmers will be exponentially importantant in stabalizing and perhaps ending the land loss epidemic black farmers have been struggling though in our nation. We should not let asian macro business factors eliminate jobs and exterminate black cotton farmers place of importance to our nation and its people. In supporting me to get my cotton processed into clothing, you will be supporting ONLY made in america products that will come from a social distressed community of farmers who are now close to extinction. I started this business to save black cotton farmer, I hope you have it in your hearts to help support this movement. 2. BlackCotton.Us has created part-time jobs for approximately 10 people. 3. BlackCotton.Us brand has become a visible part of black business networks in NC, and across the nation. I am often asked, "who are your investors" when I discussed my business with people who are interested in the business. My answer is always the same, my only investors so far has come from GoFundme.com and from customers/supporters of the business website and shop. This business do not have investors who guide the direction of operations. This is important because I want to create a work culture much different that the one that oppresses many young POC in work spaces. I want a work place that is full of pride that treats people with decency and without any malice that comes with living in rural poor areas and runs within the job market in such places. Over the last year, I have avoided using GoFundme as a platform to raise capital because I know people use this platform when they are REALLY in need, for example: funerals, hospital costs, disaster relief, etc. I believe that the initial funds raised with this GoFundme has given me momentum to raise money the traditional way through revenue and sales. At the same time, I have had people come to me and say I need to promote the GoFundMe to help advance the work that this business is doing, since we do not have any traditional investors. If you have it in your heart to invest in BlackCotton.Us, I have a short list of things I would use those funds for now. One critique of the BlackCotton company that truly hurts my feelings sometimes when I hear, particularly from professional class people, is that our works/team appearance looks "thuggish." Y'all, this business is in no way close to being a Fortune 500 company. I don't pay my workers to dress "business casual" or whatever. We literally work in an old abandoned school building that has no heat, so I usually instruct workers to dress comfortably and wear layers so that they won't become cold. When we not in the classroom working, we are outside on the farm in the fields. I don't want my workers to mess up their good clothes working in cotton fields for BlackCotton.Us. At the same time, I believe branded work attire would give a big profile boost to BlackCotton.Us company and to the morale of the team members of the business. The BlackCotton.US office is located in the old abandoned elementary school of Garysburg, NC. The school was created in the 1960s, so its an old brick building with many infrastructure needs. We at BlackCotton.Us are truly appreciative for the space we have to work and grow business in Garysburg, NC. In having this work space, it have allowed for the business to create "The BlackCotton Tour." Literally, people from across the USA are finding their way to our rural community to do the BlackCotton tour where they visit the BlackCotton office and get a tour of the Tillery family farm where the BlackCotton is grown and a firsthand experience of our family farm and the history that comes along with it. While people are coming far and near to visit with BlackCotton, I hope to not freeze our supporters in our office when they drop by for a visit. P.S. if you want a BlackCotton Christmas ornament, email me, dm me, cash app or paypal me $20 to my blackcotton.us@gmail.com email and provide me your shipping address. If you have questions, just shoot them my way and I will respond. Around this time last year (exactly Dec. 12), I created this GoFundMe campaign to raise funds to put energy into a business concept I hoped people would care about. I didn't have a finished product at time, I actually just had some raw cotton in boxes I harvested by hand, and a dream that people would care to know if cotton could come from a black owned farm. I want to thank you all for your initial investments in this business. 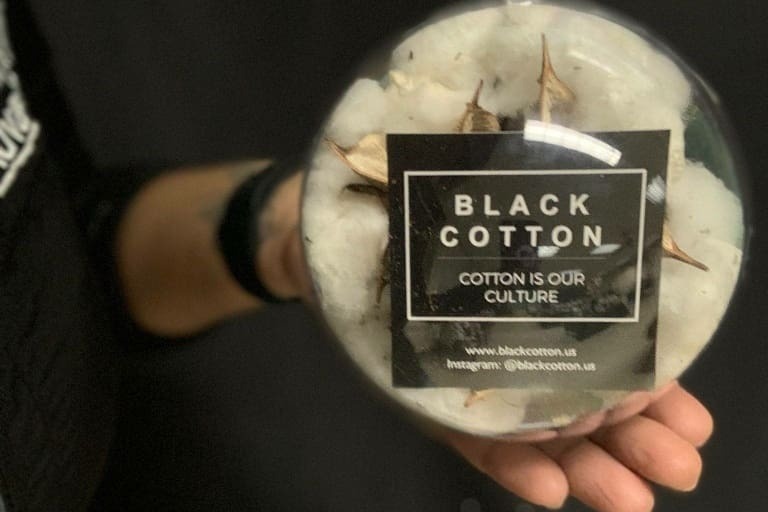 Your investments has help led to the development of a website and product creation that has spearheaded people connecting to the beauty within our cotton and the BlackCotton.Us movement. According to my records, we have shipped BlackCotton.Us products to 20 states (NY, OK, MN, CO, IN, MA, GA, MD, NC, CA, NJ, FL, IL, NV, OR, AR, TX, IA, MI, DE, and MD). This level of outreach and exposure was heavily influenced by this GoFundMe. Thank you, thank you, thank you 1000 times. What have I learn in this last year since starting GoFundMe? I have learn so much in the business world. I have learn much about the opinions and feelings of many different demographics of people on cotton. As some people would say, cotton is a loaded plant with a lot of history behind it. With BlackCotton.Us, I have been able to take life experiences, feelings, ideologies shared with me by 100s of people around rural issues, farming, cotton, heritage, legacy, etc and have connected all of these things to create a Black Cotton product line that empowers and enlightens people of color and encourages fruitful, supportive relations across races, religions, and various demographics across our nation. People in general in our great nation of United States of America appreciate a good story behind a product made in America. People yearn to see small business succeed, because in most Americans, we can see true selves in other small businesses. You can see your family and community represented in a small business products like what BlackCotton.Us offers. In many of BlackCotton.US social media posts, we use hashtags #original #authentic #hometeam #homedecor. Black Cotton is an original movement because NEVER did anyone come to our people farms and offered new opportunities with our cotton produced. In being apart of this BlackCotton.Us movement, you are apart of something real and authentic. We tried to document the whole cotton process, from planting to maintenance, to the harvest. 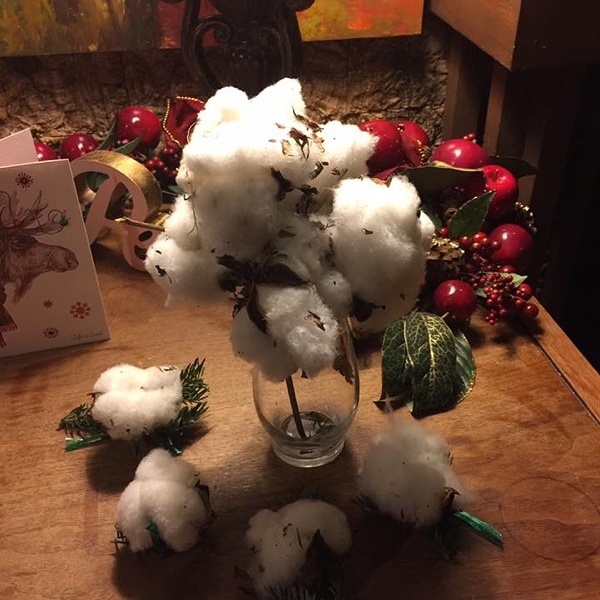 Yes, BlackCotton.Us has noticed other people making decorations with cotton. At the same time, no one is making a brand out of their cotton from their farm in the form of decorations and accessories. I know this brand is strong, real, and true because of the support not just in our local region of NC, but across the whole nation. Hence, why I use the hashtag #hometeam because our home base is growing and I want people to know all over the world that this is our cotton and we want you to be proud that we can still claim a business as our own. 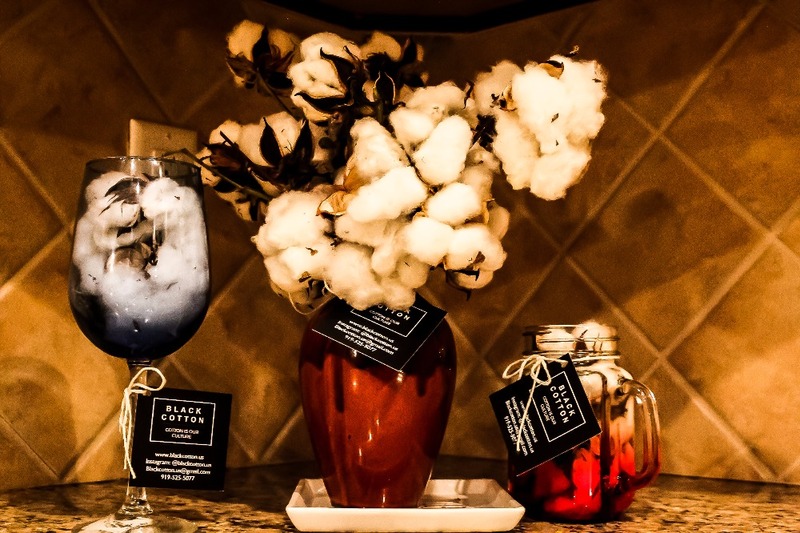 With BlackCotton.Us you get to know the owner, the people who work in the business, and homes that use BlackCotton.Us are people who support people of color and spaces where we can be successful in business to improve our communities and families. So what now? Now that such a solid home base has been created, we want to actively pursue the opportunities to achieve success in marketplace. How do we get there? Well, we are still growing in presence, but we need to have workers in place to expand on opportunities. BlackCotton has a location to create inventory, we also have cotton to make the inventory. What we need help is capital to make this engine move again to be able to supply this known national demand. Most marketplaces like to do business in what exist, so BlackCotton.US can only sale what is ready to be sold. While $1,856 in this campaign has been a great start at almost 25% of the goal, BlackCotton.Us still has a huge hole to fill in regards to capital needs necessary to get more products to florists, interior decorators, event planners, and the home decorators looking to have this great product in which they know who they are sourcing from. Today, I am not asking for more donations. If you want to donate, I don't want to stop you because those donations definitely help me hire workers, buy materials, to create fine decorations. What I need now are more customers and buyers/distributors of our products. With each additional sale grows the prospect that we are changing the economy of rural black communities for the better. Please help me connect to your favorite celebrities, florist shops, gift shops, and people who can help move BlackCotton.Us in a positive direction. How about the products? 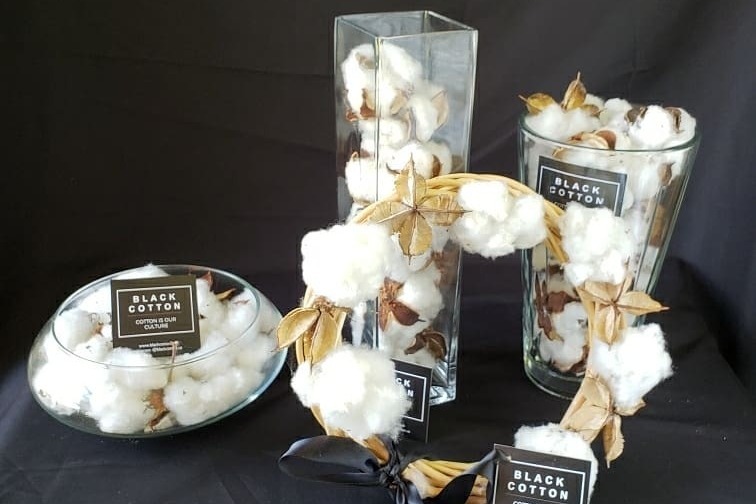 Our BlackCotton.Us products has developed a product line of wreaths, arrangements, accessories, and floral pieces that are extremely fashionable and long lasting. If you have an arrangement from BlackCotton, you have a piece that will look the same years from now. Can you say the same about other flowers like roses? We at BlackCotton.Us actually like to call cotton the new rose. We are reclaiming what has been ours for generation. We are known for our catch phrase: "Cotton is our culture." Cotton is our culture because we grew it just like the rose in concrete. We wont suppose to survive, but instead we have always found way to thrive. Black uniqueness, our black magic is within BlackCotton.Us. 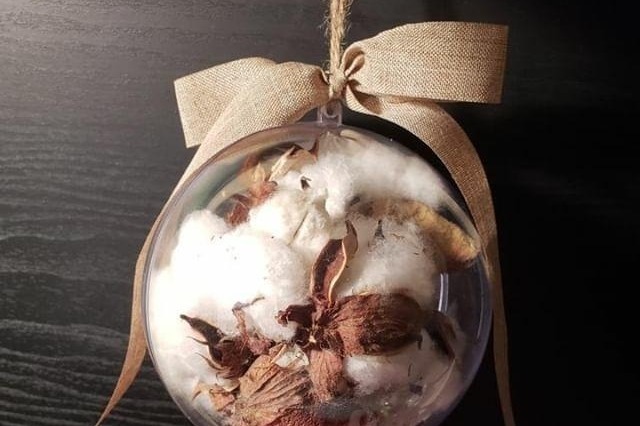 Now I have a new cath phrase to add, "When decorating with BlackCotton, anything is possible"
Actually we are having a holiday sale where if you use this coupon code on website, ujamaa, you will save 15%. Again, BlackCotton.Us loves you for your support and specifically from me, Julius Tillery, Founder of BlackCotton.Us, I appreciate you. I know without you supporters, I wouldn't have a business to share with you across the nation. We have given cotton a new look and has helped created the vibe of, this is ours we can claim how we feel about it. 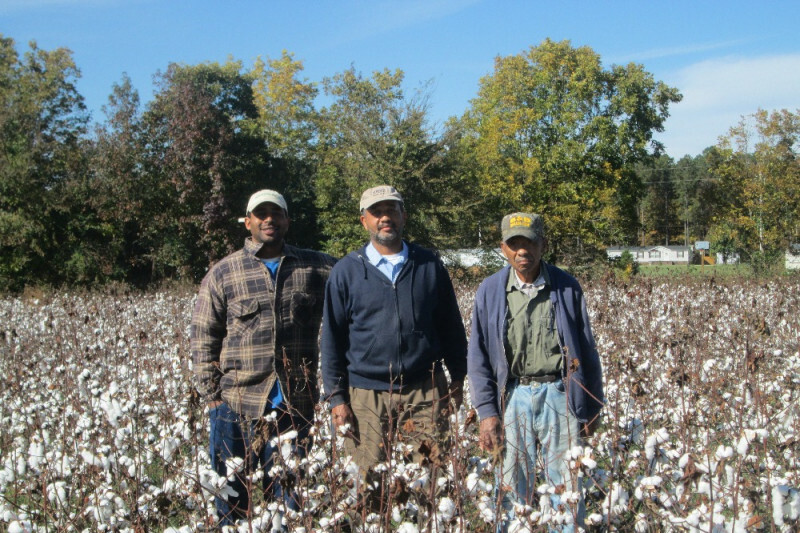 Last thing I want to note, I want to thank my Grandfather who is pictured in cotton field with my father and I on right. He passed away September of 2017. His guidance, strong values, and leadership will for always have presence with this company. Right now, BlackCotton.Us products are using cotton in the last crop our family patriarch was apart of. This cotton is incredibly special to my family. 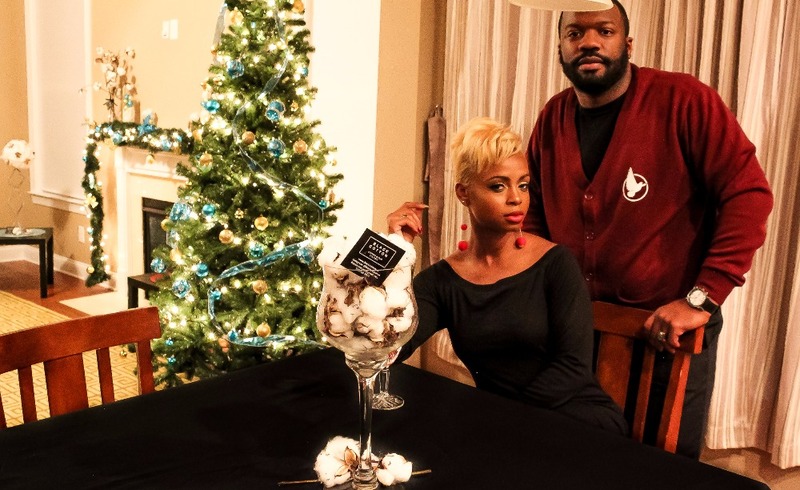 When you get a BlackCotton.Us product, you are getting a small part of my family that has long history of supporting people of color put food on family tables by using what God has given us to bless others. I hope you enjoy this Year 1 update, its long but I felt it is important give it to you this day. Hope everyone has a great holiday season and think about who you are getting gifts from and where the sourcing of these gifts comes from. Love you all, be blessed. -Glue gun, many vases for arrangements. ribbon. Be on the look out for rewards coming in mail. I'm just waiting for postcards and business cards to come in mail to send with rewards. Wishing everyone a Happy New Year! I've been waiting for the holiday season to end so I can pick up spreading #blackcotton joy. Looking forward to updating all of you great progress to Blackcotton.Us website, business, and the culture we going to create. Love you all and looking forward to seeing you in 2017! I grew up in Eastern NC and admire your mission.